Misfit has continued its assault on the connected home with a new app and configurable smart button called the Misfit Flash Link. 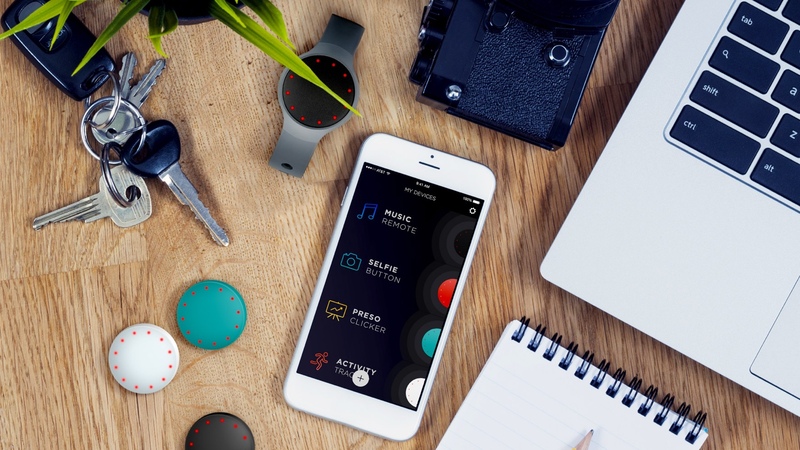 The Misfit Link app means users can create functions and rules for the Misfit Flash activity tracker, enabling you to start Spotify playlists, control connected thermostats such as Nest, and take selfies straight from the wrist. It's going to pack IFTTT integration and is available on iOS now, and Android next month. The Misfit Flash Link is activity tracker and smart button in one, which will retail for $19.99. It's a slightly confusing product, as the Flash Link is essentially the same device as a Misfit Flash. It still does all the step and sleep tracking gubbins, but you don't get a wrist strap. However, it does come with a clip to attach to your belt. That may indicate why the Misfit Flash has enjoyed a price cut to $24.99 in the US, but curiously, that hasn't taken effect in the UK, where it remains £49.99. Anyone thinking of buying in the UK would do well to save themselves £25 and snap up the Flash Link instead. The idea of the Misfit Flash Link's introduction is for users to be able to add more smart buttons to their collection – a bit like the Amazon Dash smart button announced earlier this year. By buying up cheap Misfit Flash Links, users can position them around their home. That means you can use a Misfit Flash on your wrist for fitness tracking and controlling your Nest heating/Hue lighting and add a second button to your desk for controlling your home entertainment, for example. They can all be controlled through the new app. The introduction of the Misfit Link app and Flash Link device is the continuation of a move into the smart home for the company, which burst onto the scene with its Misfit Shine tracker three years ago. The Misfit Shine has also enjoyed a US price cut, and now clocks in at just $49.99. The Misfit Link app is available to download now, and you can pick up a Misfit Flash Link from the company's store.